The term real ale is was coined by the Campaign for Real Ale (CAMRA) in the early 1970s to define a beer that is brewed from traditional ingredients in a traditional manner. Although the name only dates back to the 1970s, real ale or similarly brewed beers may have been produced for millennia. Real ales differ from other kinds of beers, namely lagers, due to the process of fermentation. Ales are made with top-fermenting yeast, whereas lagers are made with bottom-fermenting yeast. This makes a lot of difference to the finished product. 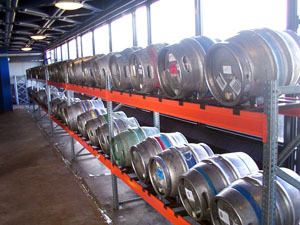 There are lots of different types of real ale, including stouts, bitters, golden ales, IPAs, and porters.